It’s been a while since I have done one of these, but I figured since I took the time to sew something all the way through – I might as well show it off. 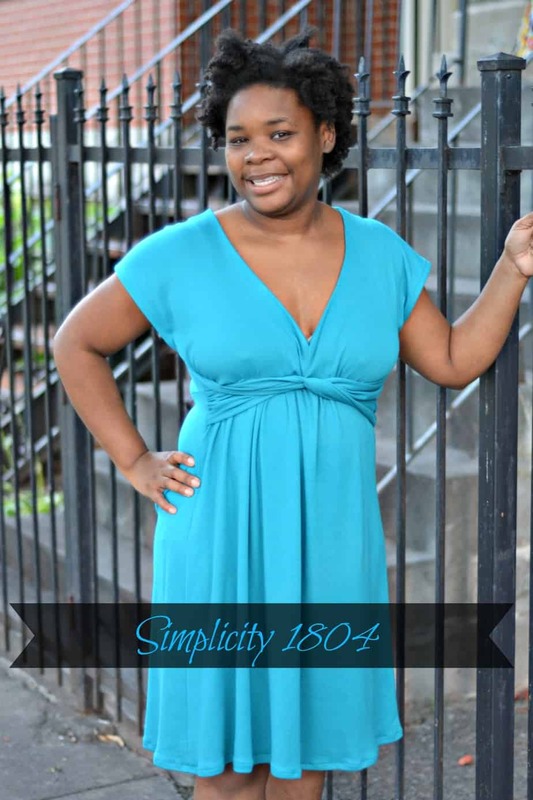 This is the Simplicity 1804 pattern, and it was pretty simple to put together. It’s made from jersey knit and it was so breathable for me in church this morning! I did have a bit of irritation with the twist tie thing in the front, and it still doesn’t sit quite like I want it to, and I think it’s because I didn’t twist it enough times for my liking. I also figure that I’m not fond of hems for knit. In the least. It comes out too rumpled, I’m using the tight zig zag stitch for elastics if that helps. If anyone has any suggestions for me, I’m open to them! I do love this dress though. It’s roomy, soft, and very flirty. And since I’m participating in the Summer of No Pants this year, my skirt collection is getting a workout. I do believe that I would make it again, and I would make sure to use a lot more pins than I did during this time. I’m going to go ahead and admit to the fact that I stick myself way too often while sewing, and I tend to just hold material together for fear of sticking myself. It’s such a bad habit, but I digress. I know that a lot of people are afraid of sewing with knit, but for me, I was okay as long as I had all of the right tools. My knit needle (NOT a universal one) my zig zag stitch and my seam ripper. These are also my extremely airbrushed legs. I admit to it. I’m not good with editing, and by the time I was finished with this, I collapsed in a fit of giggles and decided to go ahead and keep it. Besides, the photo is for the shoes that I wore today with the dress shown above. They are from Target, and I nabbed them for 50% off their regular price. Wedges are my friends and I think that I’m going to look for some more styles at reduced prices. So, what outfit have you worn lately that you have been proud of? Nice. I like the twist. Love it and you wear it well! Nice dress…but your denim skirt is my favorite! Nadine Pearson liked this on Facebook. Patti Persia liked this on Facebook. The dress was really cute! You were cute today! Don’t forget about the bag! Jacqueline Solgat Maxman liked this on Facebook. Minerva Colbert liked this on Facebook. BeeRedefinition Mangaliso Virgil liked this on Facebook. Keonté Smith liked this on Facebook. Ayesha Keller liked this on Facebook. I am absolutely in love with how this turned out! Hi, I think your dress turned out Really cute! I am looking at this pattern today trying to decide which view to use for my yellow knit. I do have a tip learned from Pattern Review. 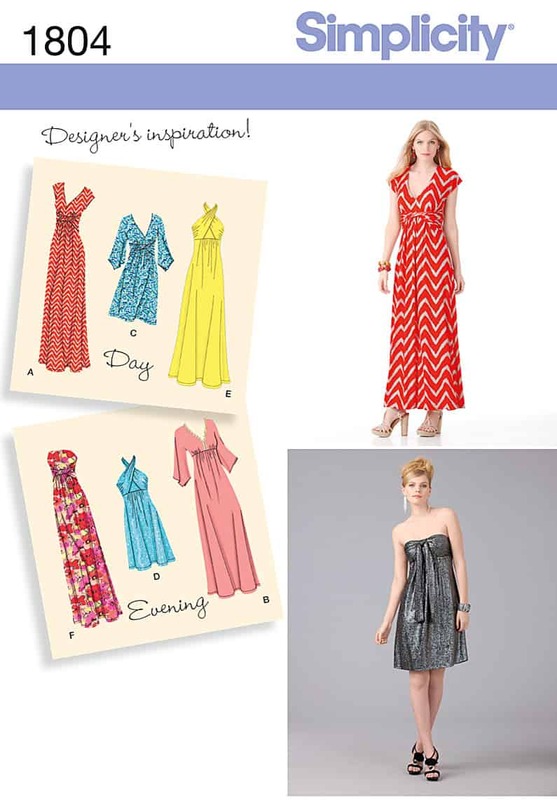 Try using Steam-A-Seam on the hem, then stitch it. It stabilizes it and turns out real nice & flat. Also, I do not use zig zag on hems. I use straight stitch & actually increase stitch length to not quite a basting stitch length. It glides right through for me.